I started my business in 2013 and didn’t quite know I was starting a business. 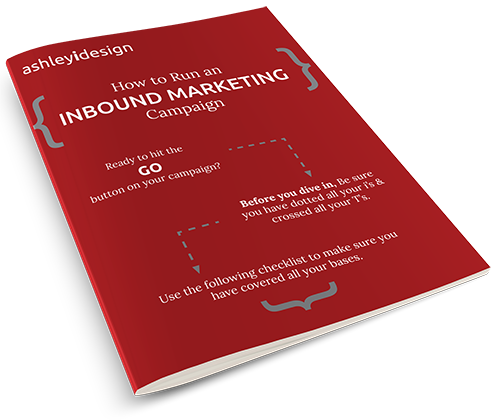 At the time I had just moved to Malaysia and picked up a couple of clients back in the US for freelance HubSpot development work. Over the two years I lived there, I picked up more and more clients— some I still work with today. When I came back to the US, I had enough business to continue freelancing full-time instead of going back to a regular, full-time office job. This is all to say I never took a class in business management or finances; that's not something you’re taught at my art college, unfortunately. I managed to muck through, but I was always a step behind when it came to managing business expenses and taxes. 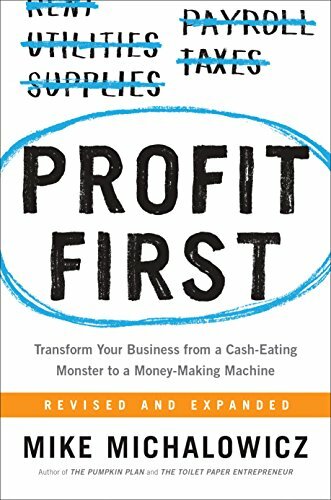 Profit First gave me a structure to follow no matter my income, which can vary from month to month or even season to season. Setting up my TAPs (target allocation percentages) gave me a goal to hit, and my CAPs (current allocation percentages) told me what to do twice a month when I sit down to transfer things around. I get some interesting looks from the bank teller when they see I have a million accounts, but they all have a specific job to do. If you’re a freelancer in need of financial structure, I highly recommend Profit First. Toward the end of last year, I spent a month really studying stoicism. I wanted to learn how to use the practice to improve my work and, really, myself in general. I joined the 30-day challenge from DailyStoic.com, subscribed to the emails, and still listen to the daily podcast today (I love podcasts). I bought several other books related to stoicism that I’m in the middle of reading (Meditations and Letters from a Stoic). I realize that I’ve always been a bit of a stoic, I have a practical way of looking at issues which really helps when dealing with personal and work challenges. I give little credence to those who don’t value my time or expertise. This book gave me the comfort in knowing I’m not the only one who thinks like I do and has helped enhance those thoughts. 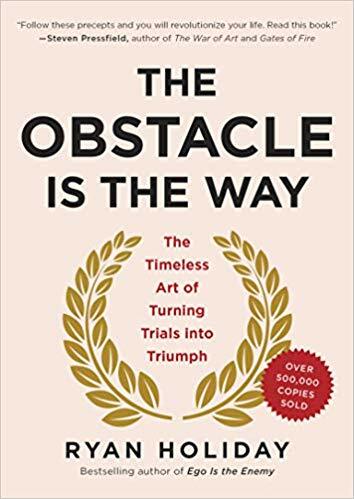 “It doesn’t matter whether this is the worst time to be alive or the best, whether you’re in a good job market or a bad one, or that the obstacle you face is intimidating or burdensome. What matters is that right now is right now. This book definitely won’t be everyone’s cup of tea, but I still recommend everyone reads it, if nothing else to be more empathetic to how others view the world and to stop and take time to reflect. Here are all the online project management systems I’ve used in the past five years: Trello, Basecamp, Teamwork, Asana, Todoist, Podio, Hive, and Wrike. I’m sure I missed a few. The one I used the longest was Teamwork, and they even wrote a case study about me here. Today I use Trello boards for collaboration, but everything else is in my notebook. A couple of years ago I started using the SELF journal for daily recording and quarterly planning, along with Teamwork for collaboration with clients and task-management. While I think the SELF journal is great, I found that I wanted more customization so I could do more in my notebook and less on the computer. In Q2 last year, I switched over to a Moleskine notebook, some general ideas about setting it up from my business mentor Curtis McHale, and stopped using an online project management tool. I don’t think I’ll ever go back. 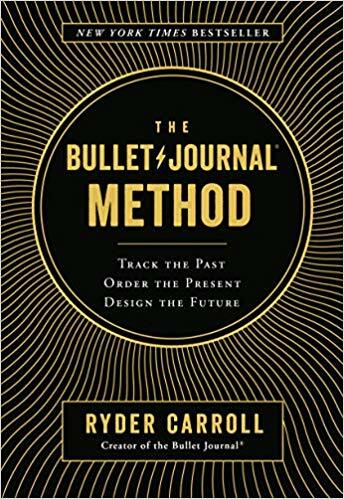 When I started I never knew the “official” Bullet Journal method. Collections were some weird term that I didn’t quite get, and I wasn’t tracking future events at all, so things would sneak up on me if I wasn’t paying attention. When The Bullet Journal Method came out, I picked it up out of curiosity and learned about the gaps in my practice. Using a bullet journal is a very personal thing. Everyone has theirs set up differently, but know that I don’t use that tape stuff nor draw illustrations around my spreads. Once a week I set up a spread for the following week using a ruler, and if I have time some colored pens, but usually not, and that’s it. Moving my system of managing personal tasks and work tasks all into one notebook that I carry everywhere has dramatically changed my ability to get stuff done, and if there’s only one takeaway you get from this post, it’s this: write everything down. Last year was excellent in so many aspects of my life, from athletic accomplishments (yeah podiums!) to working with clients new and old, all whom I want to work with forever. I believe in kaizen, or continuous improvement, and I want to share some of the things that have helped me. So, for the next couple of months I’m running a giveaway. Two folks will get all three books I mentioned above. If you’re interested in entering, just click here.